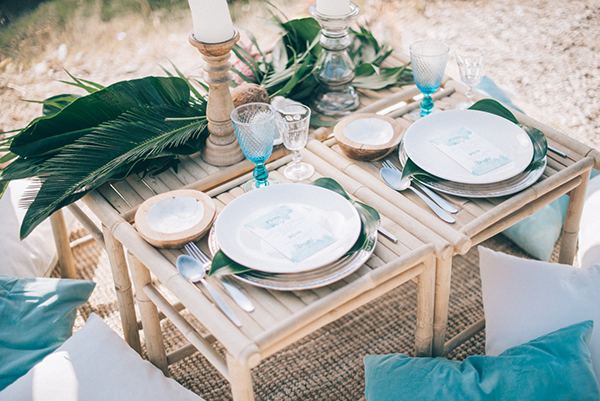 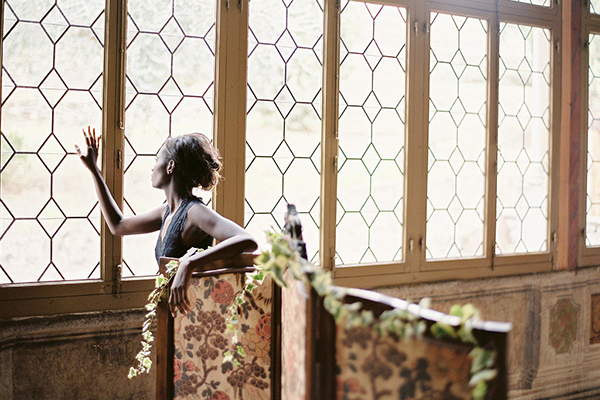 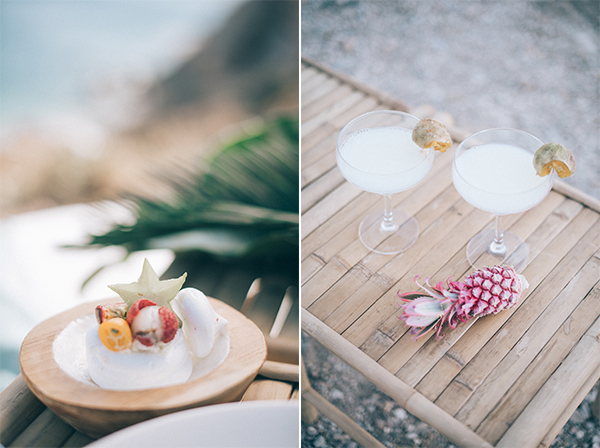 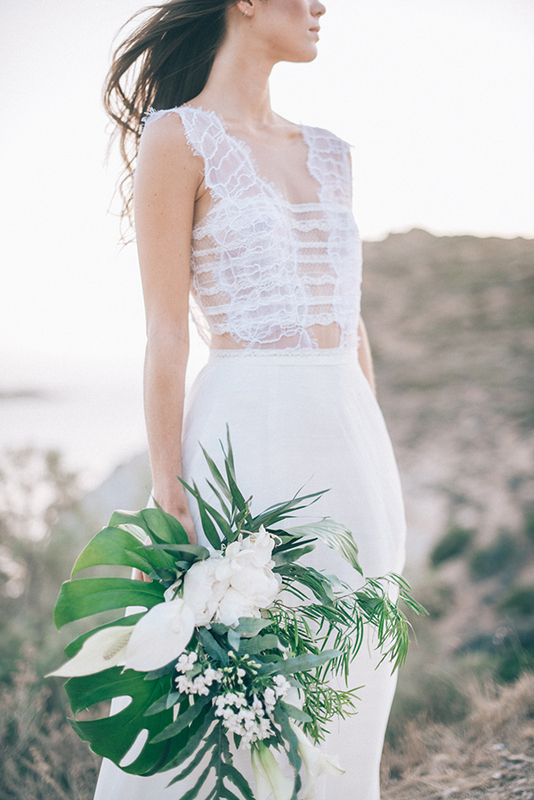 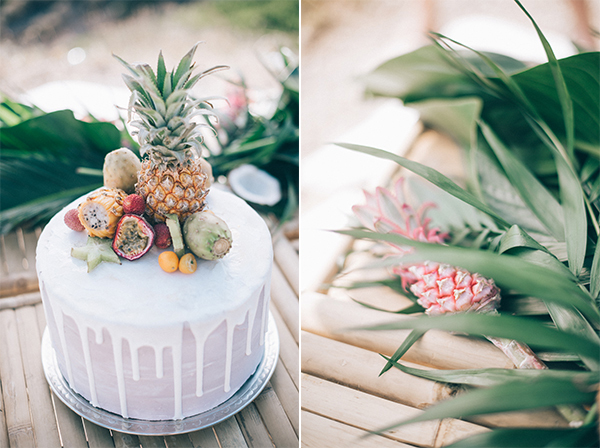 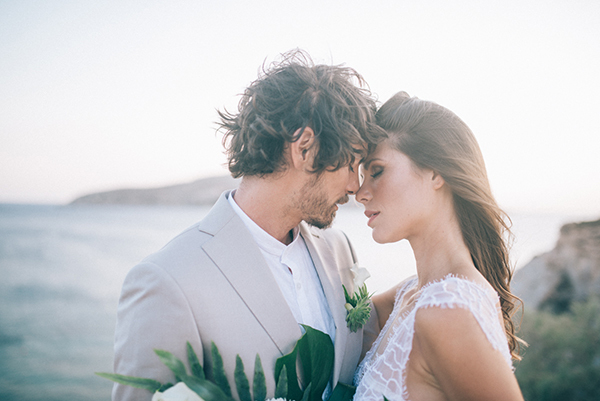 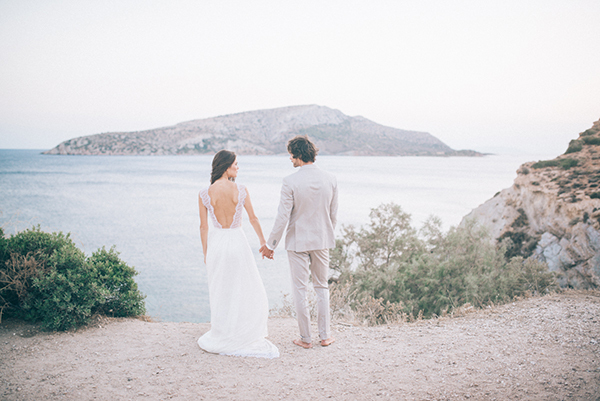 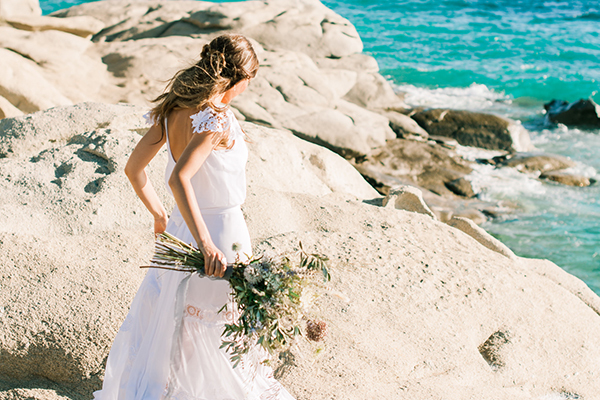 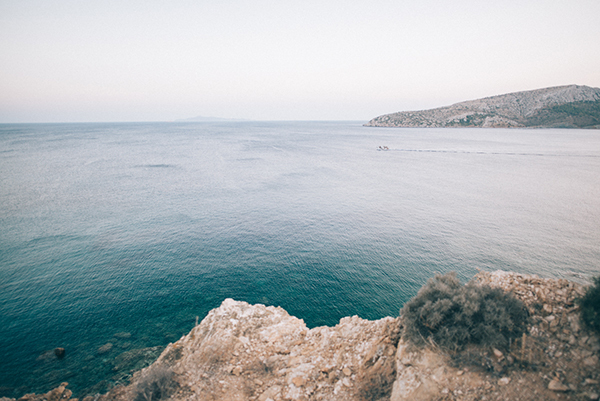 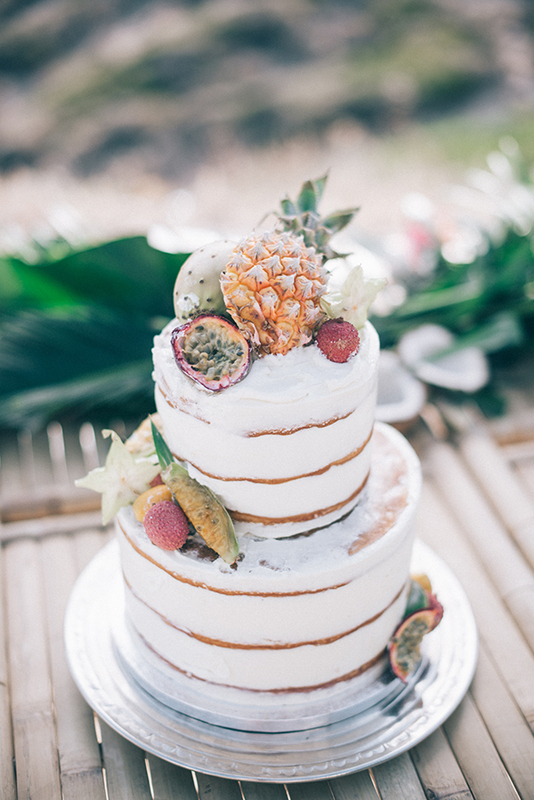 This boho styled shoot took place on beautiful cliffside near Athens Greece and has so many pretty details. 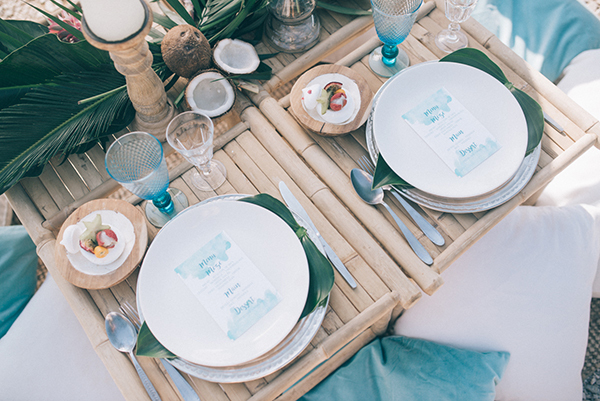 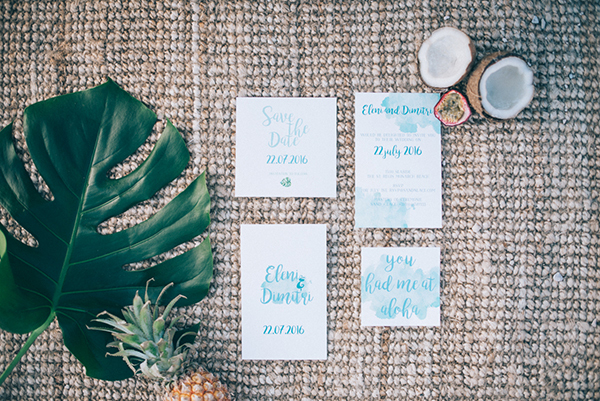 From the tropical vibe in the decor, the lovely watercolor invitations to the ultra romantic lace wedding dress by designer Vasia Tzotzopoulou that will have you spellbound, this shoot is a must see! 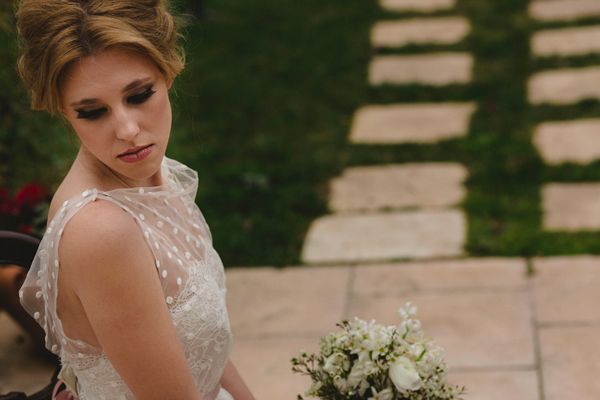 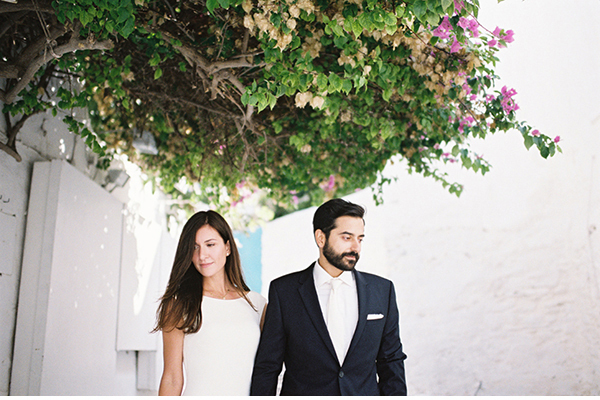 Vasia Tzotzopoulou are on Chic & Stylish Selected Vendors.